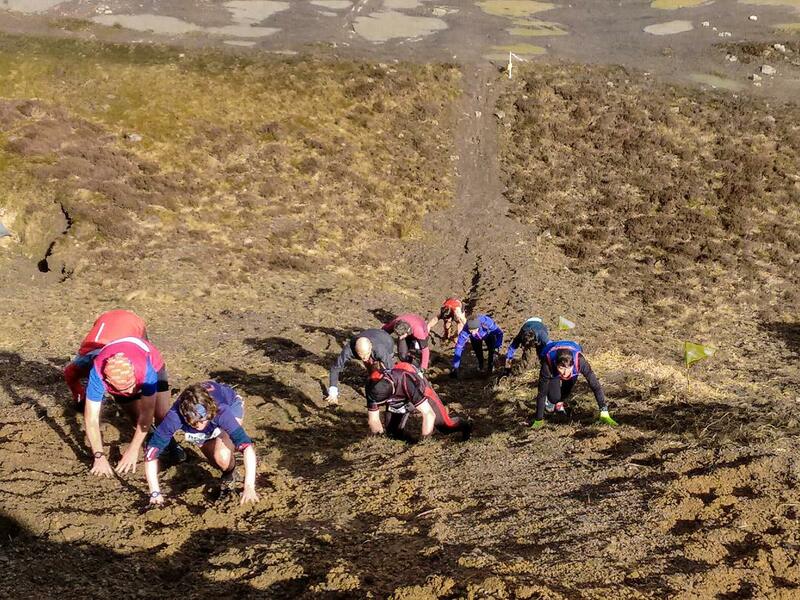 It really is the most interesting off-road race, with some spectacular scenery set amongst a backdrop of remote moorland-like areas and old quarry workings. A route for connoisseurs! Heavy overnight wind and rain from storm ‘Katie’, made the course very wet, with all the paths turned into streams. 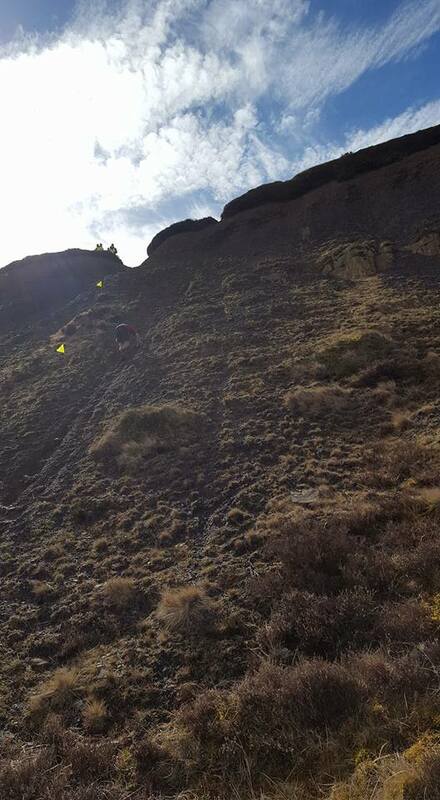 Highlights include the “Grunt” climb, the marvellous, spectacular run around and down from Gilwern Hill, a windy traverse of “The Tumble” and an excursion through the lava-like landscape of the canyons of Pwll Du – including a very steep ‘all fours’ climb, on loose rock, that needed a rope at the top to help the runners up. Fell shoes were definitely the shoe of choice! 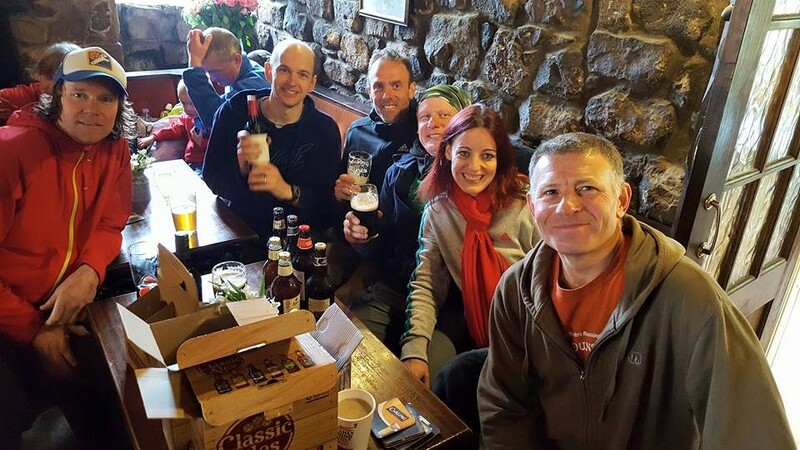 The approximate distance is 7.5 miles, with about 450M ascent. There was a good run from Dan Sandford, who claimed 4th place and 1st V40. An ‘eggcellent’ way to work off the Easter chocolate! 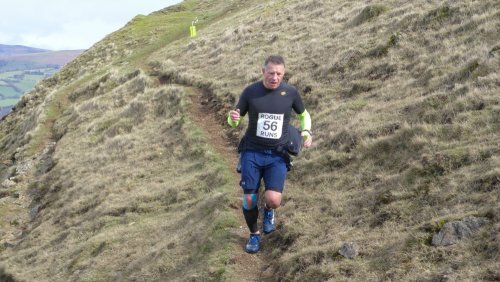 4th Dan Sandford 1:02:47 (1st V40), 21st Andy Horlick, 22nd Mark Mathews, 48th Michael Marks, 60th Neville Turner, 64th Kate Burke, 74th Peter Short.